ITC’s The Coffee Exporter’s Guide is the world’s most extensive source of information on all aspects of international trade of coffee. Topics covered include production and sales statistics, contracts, logistics, e-trade, futures, hedging, quality issues, certifications, social aspects, environment, climate change etc. The guide is accessible online free of charge. The Coffee Guide website is an updated version, including an extensive Q&A Archive – all of it in English, French and Spanish. ITC also supports the coffee sector by assisting with the development of national export strategies, programmes for women groups, quality improvement projects, institutional strengthening initiatives, market development and sustainability plans. ITC offers information on international coffee trade issues through The Coffee Exporter’s Guide – book and website – as well as publications, technical papers, articles and presentations. The Coffee Exporters Guide is often referred to as ITCs Coffee Guide. The 270-page third edition is from late 2011. The guide is available in English, French and Spanish (with various updates and overhauls of the website ongoing during 2012). The publication covers trade issues relevant to coffee growers, traders, exporters, transportation companies, certifiers, associations, authorities and others in coffee producing countries. It is often referred to as the world’s most extensive and neutral source of information on international trade of coffee. 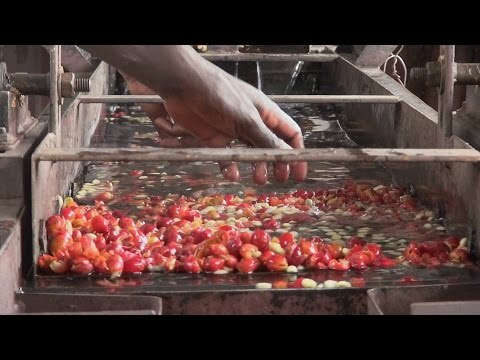 Microfinance in East Africa – Schemes for Women in the Coffee Sector. 2011.Overview of the microfinance sector in East Africa with particular focus on schemes in Kenya and Uganda. The paper explains the role and importance of microfinance for women engaged in the coffee sector; presents the key players in microfinance in East Africa, and reviews the current trends.Trends in the Trade of Certified Coffees, 2011. Available inEnglish,French and Spanish. Provides an overview of global market trends for the sustainable segment of the coffee industry. Highlights the importance of certification in traditional and emerging markets, outlines the main sustainability certification and verification schemes, details volumes of traded coffee for each and considers the impact of these standards on coffee producers and the industry. - destinations of coffee exported (Germany, Japan, others). Cimate Change and the Coffee Industry, 2010. This paper focuses on the effect of climate change on global coffee production, with particular reference to small coffee producers in developing and least developed countries. Highlights the possible effects of climate change on quality, yield, pests and diseases, and irrigation; considers potential areas of intervention, and looks at short-term solutions and long-term strategies to make coffee producers better prepared. Note: For an updated version – see: The Coffee Exporter’s Guide (Chapter 13). ITC’s Coffee Guide book and website (www.thecoffeeguide.org) are used to provide advice – with and without ITC’s direct involvement. The website has over 500 updated text boxes and an interactive Question & Answer (Q&A) service that has posted over 200 detailed answers to questions primarily from developing countries. All of it is in English, French and Spanish. Q&A 142: What is the function of the ‘middlemen’ in the coffee chain – and are they necessary? Note also that "F.O. Licht's World Coffee & Tea Yearbook" (revised annually) provides an extensive contact list of around 5,000 coffee and tea companies, including statistics and analysis on country exports and imports. To procure the book, visit www.agra-net.com. A free but less extensive source of addresses can be found at www.teaandcoffee.net (go to: ukers/information). A directory of exporters and importers is also available at www.coffeeandcocoa.net. Training can be tailor-made for projects related to the development of national export strategies, women groups, quality improvement, institutional strengthening initiatives, market development and sustainability plans. The Coffee Exporter’s Guide book and website (www.thecoffeeguide.org) are used for training – with and without ITC’s direct involvement. ITC’s Coffee Guide book and website are used for training – with and without ITC’s direct involvement. Chapter 14 of the website offers further details on training in the coffee sector. ITC has implemented a number of national, regional and global coffee projects with different objectives. One of them (in Brazil) was the origin of the Cup of Excellence ® competition and auction scheme. It is today used in many countries for selection and marketing of some of the world’s finest and most expensive coffees. Ongoing projects are primarily in Africa. Donors of ITC’s projects in the coffee sector are also listed here. The Gourmet Coffee Project (1997-2001) in Brazil, Burundi, Ethiopia, Papua New Guinea and Uganda, outlined how to develop exports of quality coffees with a potential for higher prices. The project was developed with the International Coffee Organization (ICO) and financed by the Common Fund for Commodities (CFC). It tested many new methods of producing, processing and marketing gourmet coffees. The project included the world’s first Internet coffee auction which took place in Brazil in 1999 and led to the Cup of Excellence ® competition and auction programme. 4C in Africa (2008-2009). ITC provided training (using the Coffee Guide book and website) to the Eastern African Fine Coffee Association (EAFCA) and the Common Code for the Coffee Community (4C) during the introduction of the 4C sustainability scheme in several countries in Africa. Ethiopia Coffee Quality Improvement Project (2002-2010). Establishment of seven large coffee quality (cupping) laboratories in coffee producing areas. The project will improve quality, consistency and traceability of different coffees in order to meet market demands. ITC provided support in selection and procurement of equipment, cupping training and marketing activities. The laboratories are today an integrated part of the Ethiopian Commodity Exchange. An 8-page case study was published in early 2011. CameroonCoffee (2009-2011). Design of a national coffee production and export strategy, and subsequent implementation of selected components of it. The Coffee Exporter’s Guide (1992, 2002 and 2012). The third edition is a 270-page publication on trade issues relevant for coffee growers, traders, exporters, transportation companies, associations, financial institutions, certifiers, authorities and others in coffee producing countries. The guide can be ordered at ITC’s e-shop or accessed online in English, French and Spanish. The Coffee Guide website, www.thecoffeeguide.org was launched in 2005, based on ITC’s Coffee Exporter’s Guide. Its 500 text boxes are regularly updated and the website includes a Q&A Archive which has posted over 200 detailed answers – all of it in English, French and Spanish. Eastern Africa: Establishment of women/coffee associations in six countries in cooperation with the International Women’s Coffee Alliance (IWCA) and Eastern African Fine Coffees Association (EAFCA). This project also includes components on branding, financing/savings and leadership training. Uganda: Institutional strengthening and export development of national coffee organizations (UEPB and UCDA) and NUCAFE cooperatives. Economic Community of Central African States. Development of a regional coffee export strategy for nine countries in the ECCAS/CEEAC region. The Gourmet Coffee Project – Adding value to green coffee. Brazil, Burundi, Ethiopia, Papua New Guinea and Uganda (1997-2001). The Ethiopian Coffee Quality Improvement Project. Setting up seven coffee quality labs with equipment and training (2002-2010). Operation and promotion of the Coffee Guide website and its Q&A service (2004-2005). Support to the establishment of the 4C coffee scheme – using ITC’s Coffee Exporter’s Guide for training (2005-2006). The Government of Denmark, through the Danish International Development Assistance (DANIDA). Belgium, through the coffee trading house Efico sa/bv. Translations of The Coffee Exporter’s Guide (2002/2003). Development of a national coffee production and export strategy and subsequent implementation of selected components (2009-2011).